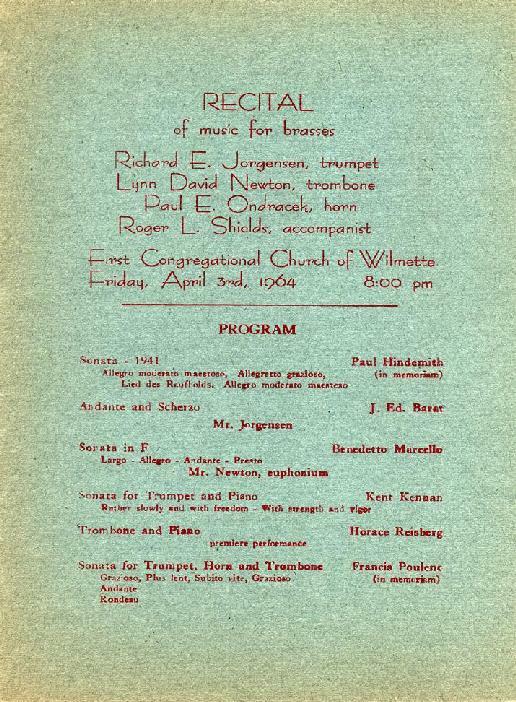 My father and I believe also my brother Dwight prepared the printed program for my recital. The cover was silk-screened. 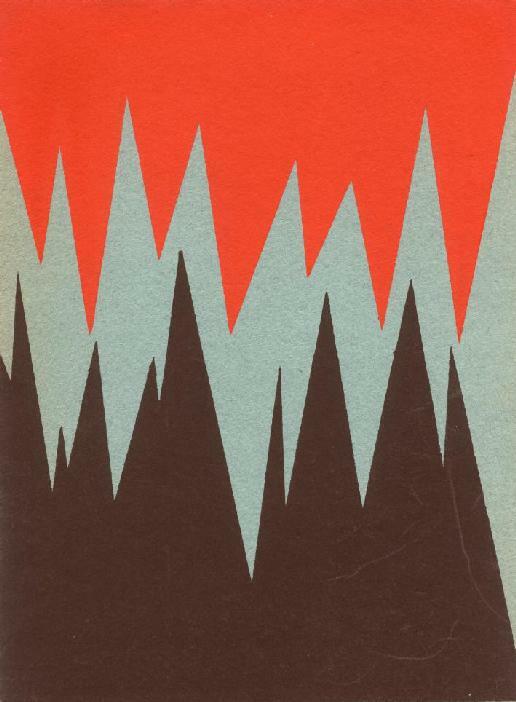 I'm afraid to admit that the design has no meaning that has to do with the music, or with anything else, for that matter, unless it's to represent the angular music of Horace Reisberg. The printed text was typeset laboriously in old-fashioned lead type and printed on the hand-operated press in our basement. I was quite pleased with the result.